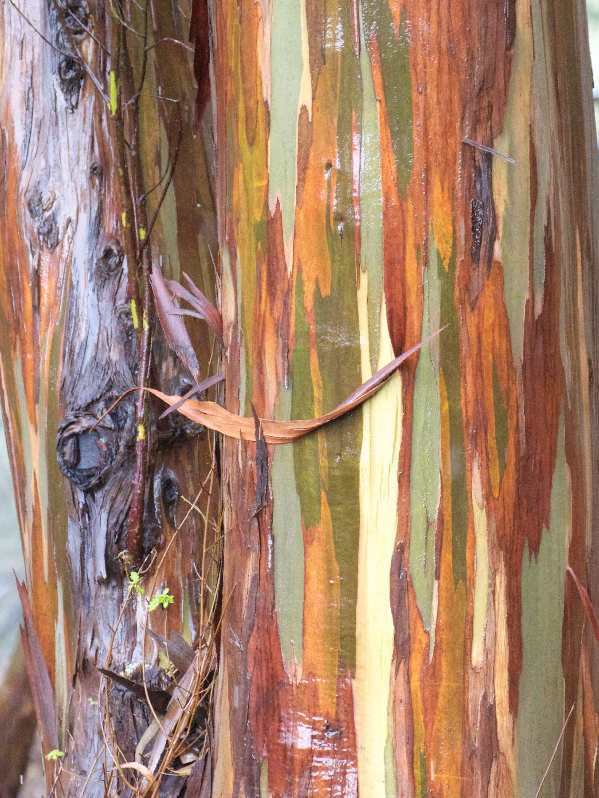 If you needed an excuse to walk in Glen Canyon on a rainy day, here’s one – the rainbow bark on a rain-washed eucalyptus tree. These two photographs, courtesy of photographer Janet Kessler, have not been enhanced. It’s a beautiful time in the Canyon among its wonderful trees. Let’s hope this isn’t one slated for destruction in one of the many projects that will fell trees in the Canyon. Wonderful photos! I will be on the lookout for examples of colorful euc trunks on this side of the Bay. Gorgeous! Thanks for posting. 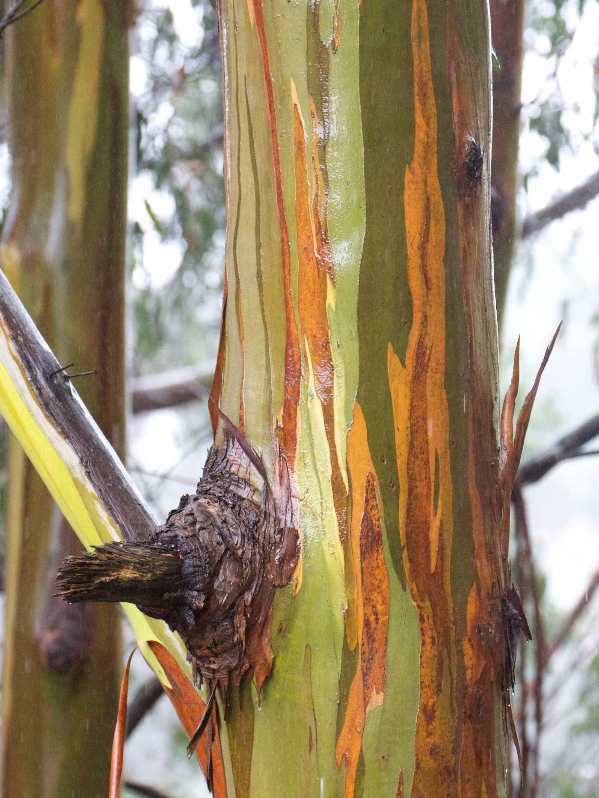 Walking through a eucalyptus forest is better than a day at a spa. Thanks for the photos, but neither me nor my dogs need an excuse for roaming Glen Canyon and the rocks. It is a matter of necessity for mind, body and spirit – especially that of the dogs.. Very few of us actually walk dogs in the rain. I wonder what the house broken dogs do on rainy days.